Take as much or as little as you need. Sails is a lightweight framework that sits on top of Express. Its ensemble of small modules work together to provide simplicity, maintainability, and structural conventions to Node.js apps. Sails bundles a powerful ORM, Waterline, which provides a simple data access layer that just works, no matter what database you're using. In addition to a plethora of community projects, officially supported adapters exist for MySQL, MongoDB, PostgreSQL, Redis, and local disk. Sails offers a new take on the familiar relational model, aimed at making data modeling more practical. You can do all the same things you might be used to (one-to-many, many-to-many), but you can also assign multiple named associations per-model (for instance, a cake might have two collections of people: "havers" and "eaters"). Better yet, you can assign different models to different databases, and your associations/joins will still work-- even across NoSQL and relational boundries. Sails has no problem implicitly/automatically joining a MySQL table with a Mongo collection and vice versa. Sails comes with blueprints that help jumpstart your app's backend without writing any code. Just run sails generate api dentist and you'll get an API that lets you search, paginate, sort, filter, create, destroy, update, and associate dentists. Since these blueprint actions are built on the same underlying technology as Sails, they also work with Websockets and any supported database out of the box. Support WebSockets with no additional code. In the past, adding realtime/"comet" features meant maintaining two separate code bases. But since the request interpreter in Sails translates incoming socket messages for you, they're automatically compatible with every route in your Sails app, as well as any existing Express routes/middleware. Normalization of parameters, the session, and the streaming interface are all taken care of. In other words, the code you write works with WebSockets and HTTP, without doing any extra work. Sails provides basic security and role-based access control by default in the form of policies - simple, reusable middleware functions that run before your controllers and actions. Writing policies encourages encapsulation, which dramatically simplifies your business logic and reduces the total amount of code you need to write. Policies are interchangeable with Express/Connect middleware, which means you can plug in popular npm modules like Passport. Finally, like most things in Sails, your policies work for both WebSockets and HTTP automatically. While the promise of "one language/framework to rule them all" is certainly enticing, it isn't always realistic. Sails is compatible with any front-end strategy; whether it's Angular, Backbone, iOS/ObjC, Android/Java, Windows Phone, or something else that hasn't been invented yet. Plus it's easy to serve up the same API to be consumed by another web service or community of developers. If you are building an app for the browser, you're in luck. 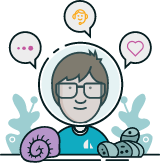 Sails ships with Grunt- which means your entire front-end asset workflow is completely customizable, and comes with support for all of the great Grunt modules which are already out there. That includes support for LESS, SASS, Stylus, CoffeeScript, JST, Jade, Handlebars, Dust, and many more. When you're ready to go into production, your assets are minified and gzipped automatically. You can even compile your static assets and push them out to a CDN like CloudFront to make your app load even faster. Prefer a different toolchain? Learn about generators. Remove roadblocks from your development efforts by engaging directly with the Sails core team. Flagship professional support informs your technical decisions and facilitates speedy resolution to issues, shaving days or weeks off your development timeline. Learn more about Flagship or, partner with us.